Come and see the historic Psyche Pumps in operation. The Chaffey triple expansion steam engine and Tangye Centrifugal Pumps were designed by George Chaffey and provided irrigation water for Mildura from 1891 to 1959. The unique design is the only operational one of its kind in the world. 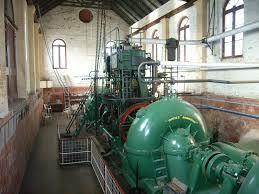 The engine and pumps were built in England in Tangye in 1889-90 and installed and commissioned at Mildura in 1891.